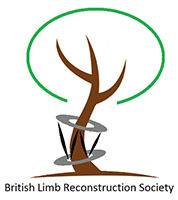 Membership of the Society is open to all surgeons involved with the techniques of limb reconstruction. The current membership fee is £75 per annum for consultant surgeons. Associate membership is also available, without a fee, to Allied Health Professionals (e.g. physiotherapists, nurses etc. ), trainees with sub-speciality interest in limb reconstruction, and overseas surgeons. Membership applications should include a CV and supported by two referees who are current members of the Society. Please email your request for membership including a CV to blrs.secretary@gmail.com.